Trade-in, Non-smoker, Certified, Air, Tilt, Cruise, Power Windows, Power Locks! Looking for something bigger than a wagon and smaller than an SUV? The unique size of the Venza could be for you. 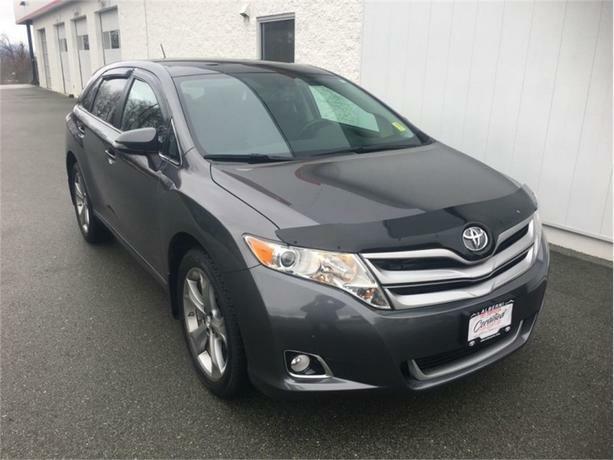 This 2014 Toyota Venza is for sale today in Port Alberni. The 2014 Toyota Venza is a tall, midsize wagon aimed at consumers seeking a generous helping of space and amenities in a five-passenger vehicle. With plenty of room for passengers and cargo and the driveability of a mid-size sedan, the Venza is a comfortable family hauler.This SUV has 87532 kms and is a Certified Pre-Owned vehicle. It's grey in colour. It has an automatic transmission and is powered by a 268HP 3.5L V6 Cylinder Engine. This vehicle also has the following features: Air, Tilt, Cruise, Power Windows, Power Locks, Power Mirrors, Back Up Camera. It has a certified used vehicle warranty for added peace of mind.